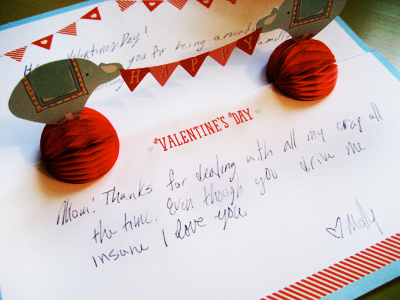 We celebrate the mid-February holiday of romance at our house, despite some jaded opinions that it’s simply an evil conspiracy between the Hallmark and Whitman’s companies. 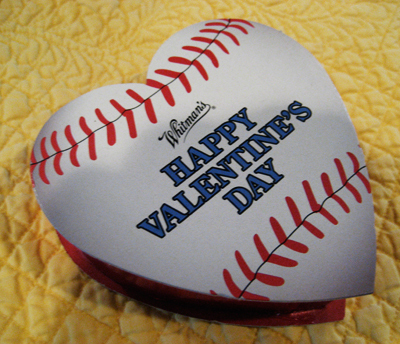 How cute is this little heart-shaped baseball box of chocolates? Well, there were only three candies inside, and the BF was sweet enough to share with Molly and I. 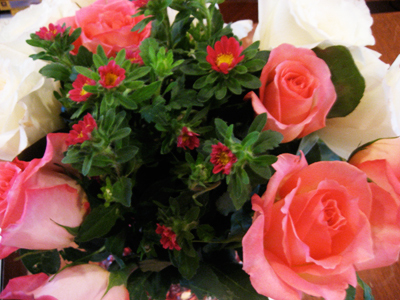 The BF went the traditionalist route with a gorgeous bouquet of pink and white roses that have been slowly opening all week. So anyway, for the real history of the holiday, a pagan ordeal which includes a Christian saint, and the alleged sacrifice of a goat AND a dog hit the link. (ewwwww).